You could have won with the Clarets Trust and The Art Of Football. Up until midnight on the 16th of April, 2017 you could win a £25 voucher to be spent at their online store, here. All you need to do is email us with your Player of the Year for the season 2016/17. There are some very big games to come, of course, though this campaign has seen some outstanding individual performances. Tom Heaton at Old Trafford and Michael Keane being called up to the England first team are some of the highlights that spring to mind. 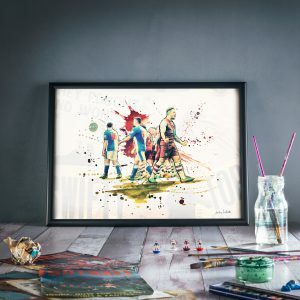 Remember, you have until the 16th of April 2017 to let us know and you will be automatically entered to win with The Art of Football. 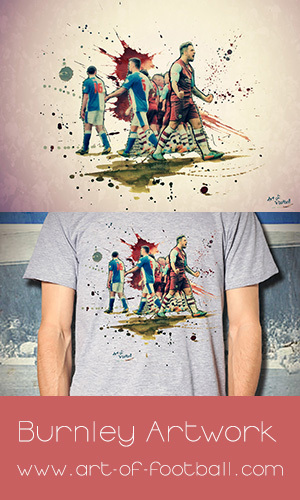 To browse and buy from their fantastic range Shop the Art of Football now! And don’t forget, enter the code “CLARET” at the checkout to get 10% off any purchase.